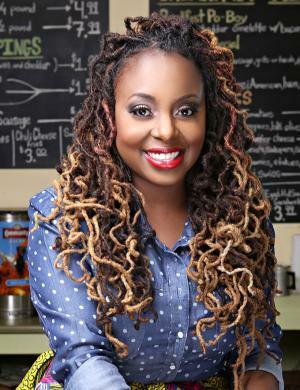 Ledisi Anibade Young is an R&B and jazz singer, songwriter, record producer and actress, born on 28th March 1972 in New Orleans, Louisiana, USA. She has been nominated for a Grammy Award nine times, and won the 2003 California Music Award for Outstanding Jazz Album. She has also appeared in three movies: “Leatherheads”, “Leave it on the Floor” and “Selma”. Have you ever wondered how rich Ledisi is? According to resources it has been estimated that Ledisi’s overall net worth is $1 million, acquired during a lucrative music career which she started in the mid ‘90s, and during which she has gathered significant popularity and critical acclaim. Since she is still very active in the entertainment industry, her net worth continues to increase. Ledisi comes from a family with a musical background, as her stepfather was a drummer, and her mother sang in a Louisiana R&B band in her hometown. Apart from that, her biological father is Larry Sanders, who is the son of blues singer Johnny Ace. Her first public performance was at the age of eight when she appeared with the New Orleans Symphony Orchestra. In her teenage years, she moved to Oakland, California, where she attend McChesney Junior High School. As she continued to sing publicly, she drew more and more attention, and was eventually nominated for a Shellie Award for her role of Dorothy in a local production of “The Wiz” in 1990. Upon finishing high school, she decided to enroll at the University of California, Berkeley where she studied opera and piano for five years. Ledisi’s professional career started when she formed the six-member band “Anibade”, which managed to build a notable reputation in the Bay Area’s local clubs, and eventually released a demo – “Take Time” – which received good reviews and was aired on the KMEL radio station. However, Ledisi never managed to sign the band with any major recording company, so she co-founded LeSun Records and released her first album “Soulsinger: The Revival” in January 2000. Despite not being released by a major distributor, the album achieved great success in California and several European countries such as Finland, Norway, the UK and Netherlands. Her third album, “Lost&Found”, was released in 2007, and launched two major hit singles – “Alright” and “In the Morning” – which peaked among the Top 50 of Billboard’s Hot R&B-HipHop Songs chart, and even received a pair of Grammy Award nominations. Her following albums featured more hit songs such as “What a Wonderful World”, “Pieces of Me” and “Give Love on Christmas Day”, hitting the Billboard’s R&B Albums Charts again and earning Ledisi more Grammy nominations. Apart from her musical career, she has also had acting ventures, and appeared in “Leatherheads” in 2008 and “Leave It On The Floor” in 2011. Three years later, she appeared as the great Mahalia Jackson in the movie “Selma”(2014). After the film’s release, Ledisi released an EP of acoustic versions of songs called “The Intimate Truth”. She is currently working on her eighth studio album which will be released during 2017. When it comes to her private life, not much is familiar, as Ledisi manages to keep it away from the public. VH1 Divas 2012 2012 TV Special performer: "How Will I Know"
Leatherheads 2008 performer: "The Man I Love"
Meet the Browns 2008 performer: "Alright" - as Ledisi / writer: "Alright"
2015 Grammy Grammy Awards Best R&B Performance For the song "Like This." 2012 Grammy Grammy Awards Best R&B Album For the album "Pieces of Me." 2012 Grammy Grammy Awards Best R&B Performance For the song "Pieces of Me." 2010 Grammy Grammy Awards Best Female R&B Vocal Performance For the song "Goin' Thru Changes." 2010 Grammy Grammy Awards Best R&B Album For the album "Turn Me Loose." 2008 Grammy Grammy Awards Best R&B Album For the album "Lost & Found."